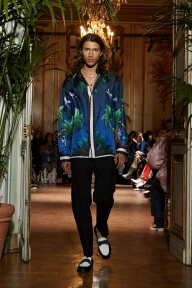 While Massimo Giorgetti’s collections for MSGM can always be relied upon to provide a madcap dose of energy in the middle of Milan men’s week, this season there was even more va-va-voom as he took us straight to the Grand Prix: think shirts decorated with plumes of smoking gasoline, prints of legendary racecar driver Ayrton Senna and quotes from Mario Andretti, oversized shiny leather pit crew jackets and, perhaps summing the mood up most succinctly, tees that simply read ‘turbo’. 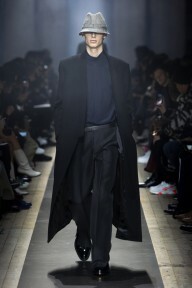 It might have been a breakneck ride into the future, but the show was grounded by Giorgetti’s canny eye for mixing his more outré instincts (see: the giant highlighter orange parkas) with a range of product that can appeal to his broader customer base, like pinstripe suiting and a thick wool camel coat. 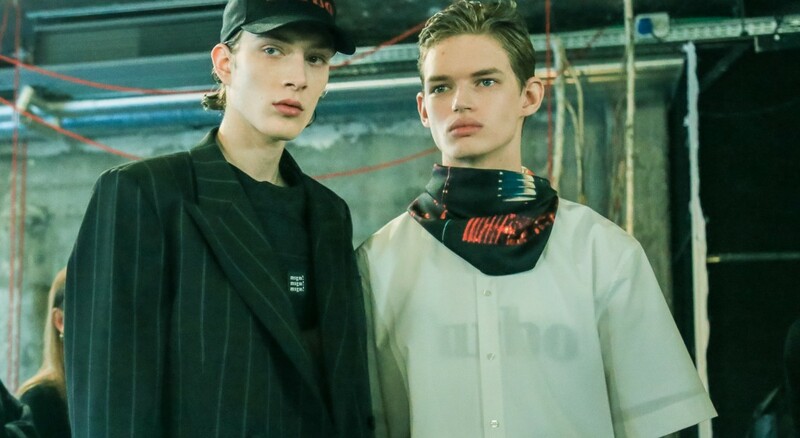 It also wasn’t all full-throttle dressing for colourful youths and city boys with a need for speed, with a series of knits emblazoned with the slogan ‘Eur-Hope’. 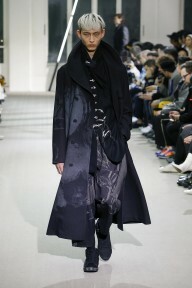 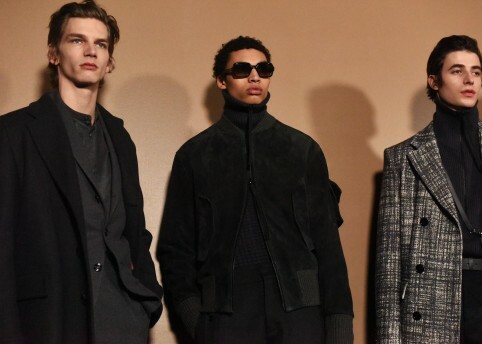 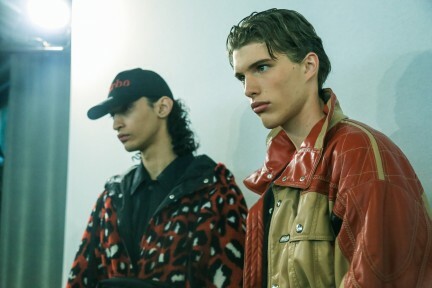 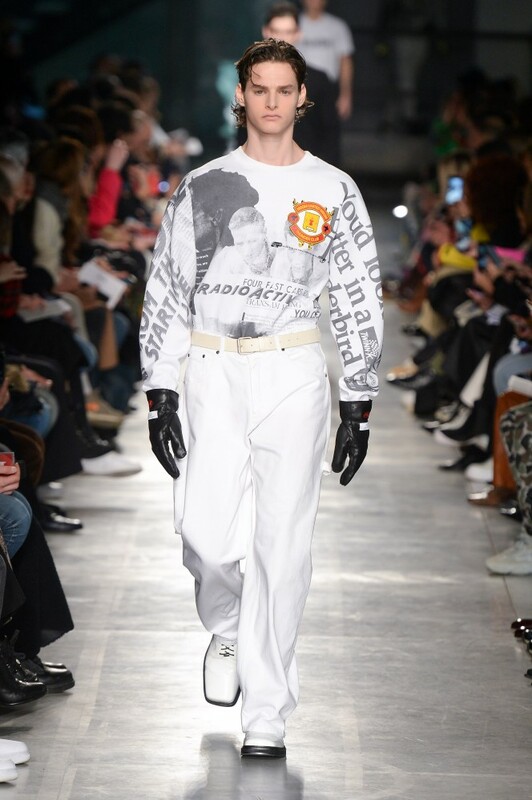 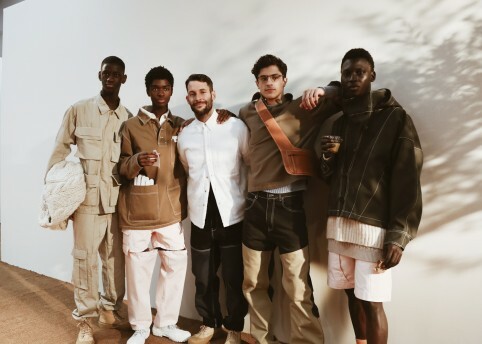 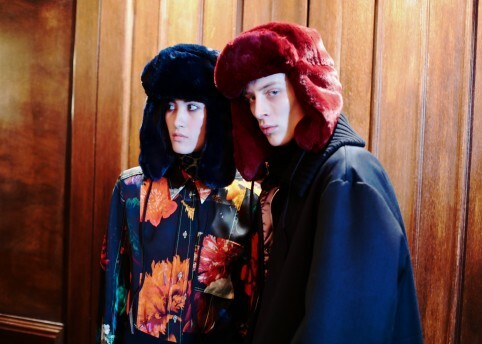 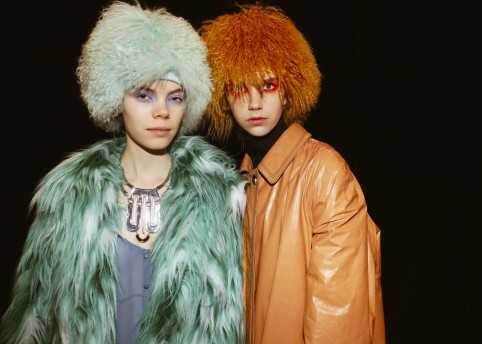 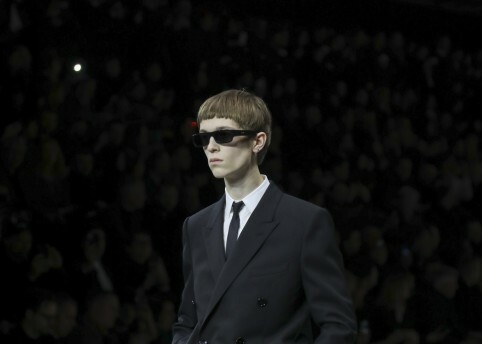 For a designer whose aesthetic identity is inextricably tied with his home country of Italy, from Vespa-riding youths to cool Milanese dads, it gave the collection a friendlier, more international touch – even if this season’s MSGM man would only be seen travelling abroad in a souped-up Ferrari.